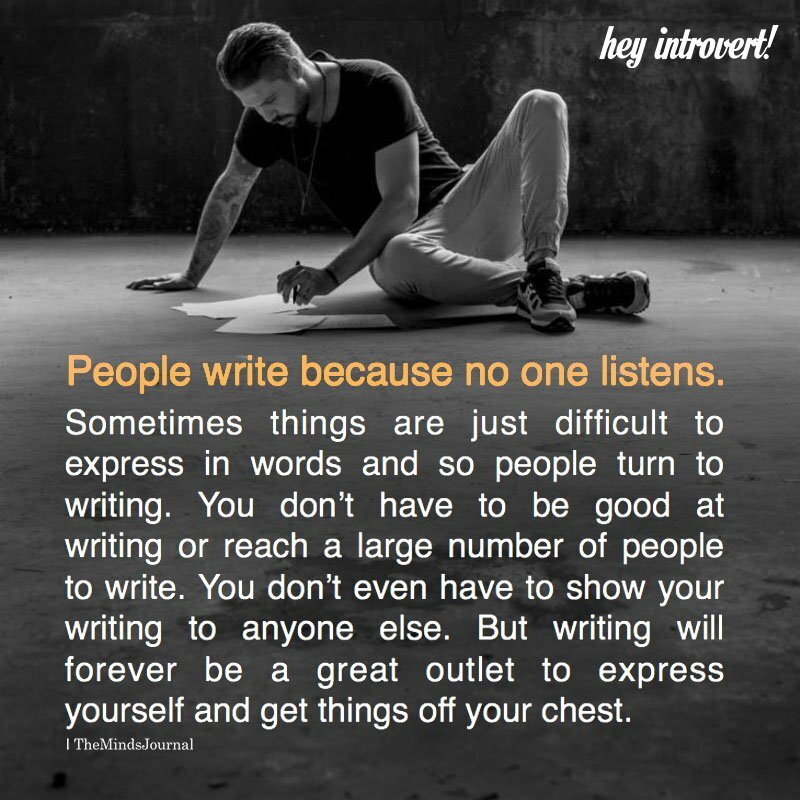 You should express yourself to God who can help… writing does nothing but open your mind to those who wish to us your writings against you. Or,….it could help someone else who feels like they are the only one feeling that way….sharing an unspoken understanding can do so much to help someone else in their journey. God gives that gift to some.